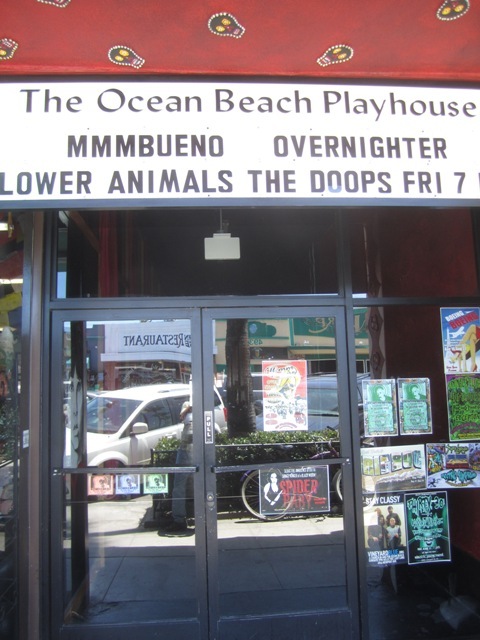 Here is the latest in a series of irregular updates of what’s happenin’ on Newport Ave – OB’s main street – in mid-July, 2013. 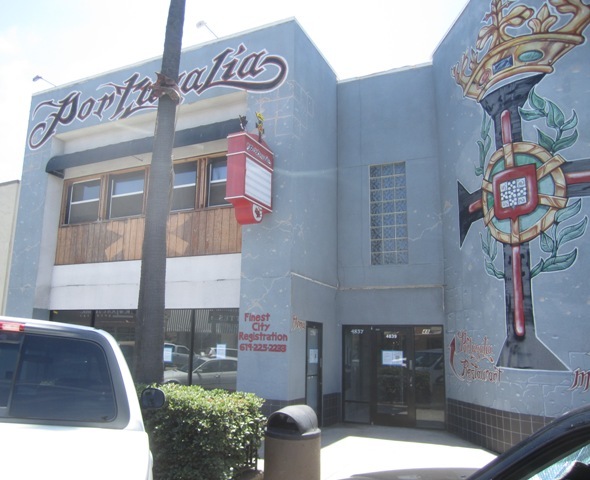 A new restaurant has just moved into the former quarters of the Italian place, Caio Bella, at 4953 Newport. I spoke briefly to Tim Pang, the manager – who also manages OB Sushi down the street. It will offer Pho and seafood, craw fish, small lobsters, that sort of thing. The staff inside was hanging out today, waiting for the Health & Safety inspector to come by and approve the place, so they can open. To my surprise, Tim told me that he has a five year lease. That’s great. 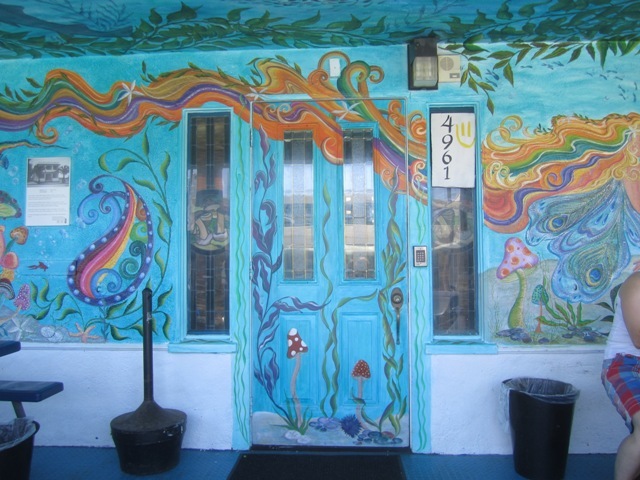 And BTW, have you seen the inside of OB Sushi? Very plush. 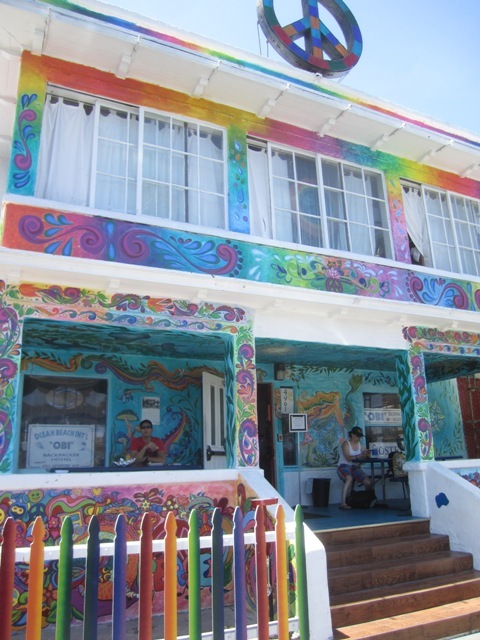 Just about all the white space on the front and sides of OB’s international hostel have been covered with bright colors, flowers, peace signs, mushrooms, sealife and a total psychedelic make-over. 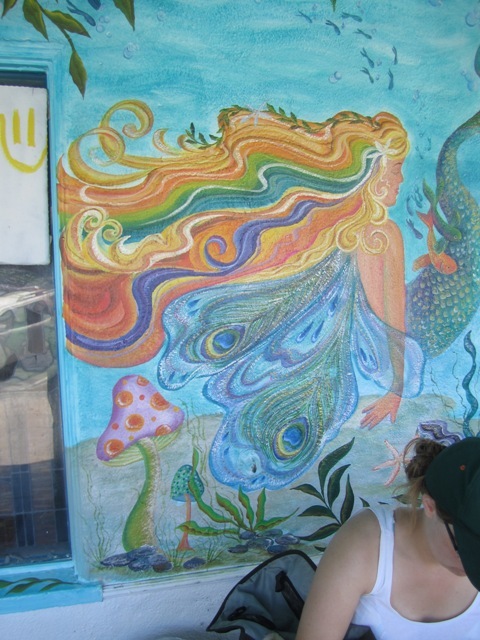 Artist Kim Howell was out in front with a couple of assistants painting the east side of the building. They’ve been at it for two months and expect another 2 or more weeks on the project. After she’s done, they’ll put a coat of Clear Coat on it to protect the murals. The front porch has been taken over by Kim’s art. The ceiling too. You feel like you’re in an aquarium up there. 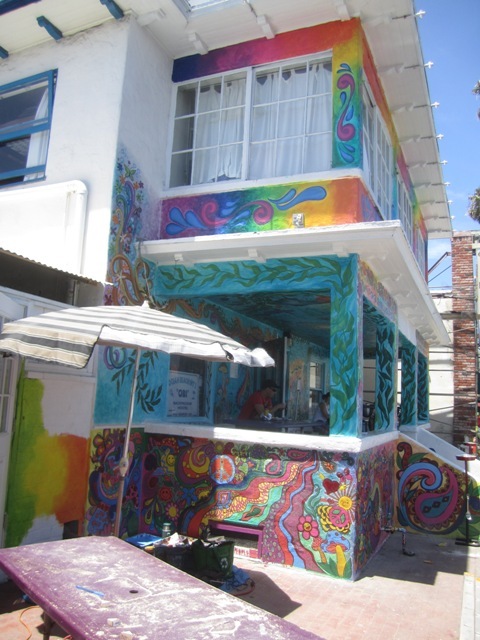 Kim runs the a children’s art center in OB, and a lot of her age 4 to 14 kids helped her out with this current colorful collaboration. Kim told me that kids just walking by also got involved. Detail on porch – west of front door. 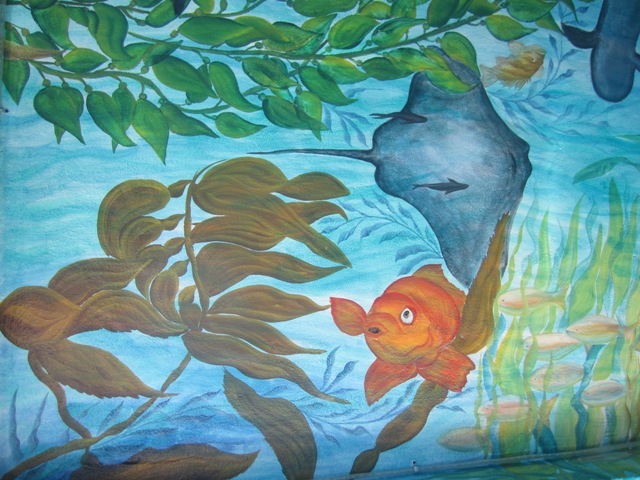 Detail of ceiling which makes you feel you’re in an aquarium. A sign on the door says it all. Deliveries and appointments, call upstairs. 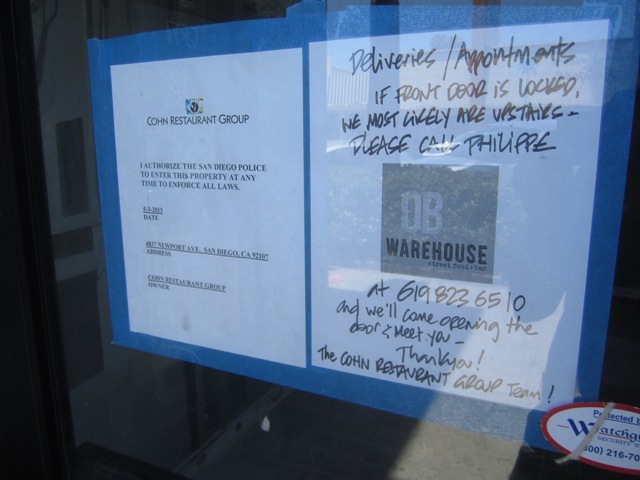 The Cohn family restaurant group is making it known that they are opening up their second OB restaurant in the old Portugalia – to be called the OB Warehouse. It will serve “street food”. Hmm, sounds … tasty. Since March I was told. 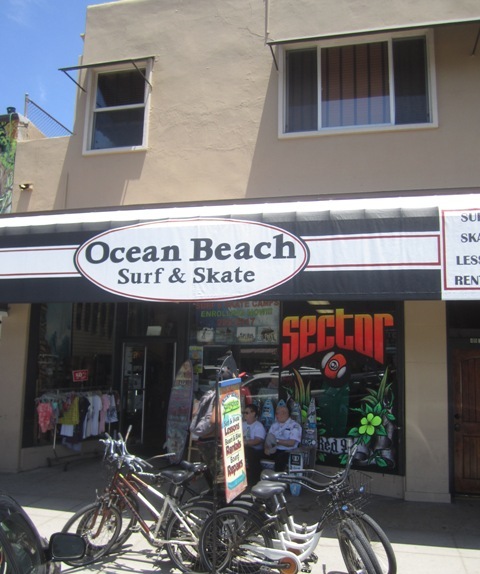 The OB Surf and Skate was in the former Bank of America / Rock Paper Scissors building, when they were asked to leave by the owner, who himself was being forced out of the Apple Tree Market property. So, the long-time Newport business moved off Newport briefly, and then split in two, with the other facility over on Niagara – more of a gym. 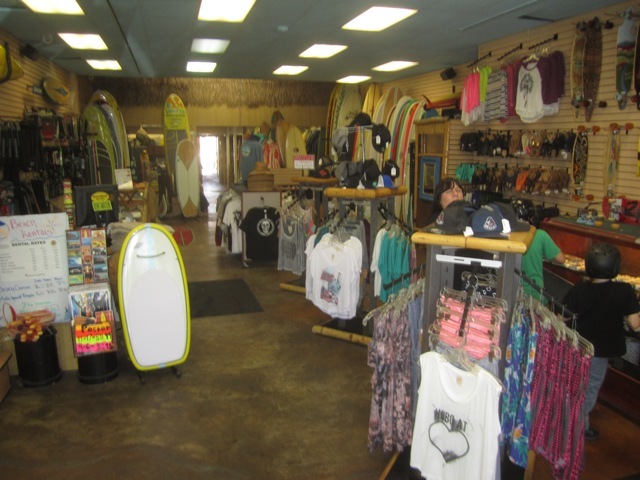 Roger Caldwell, the owner, opened back up on OB’s main street early this spring. 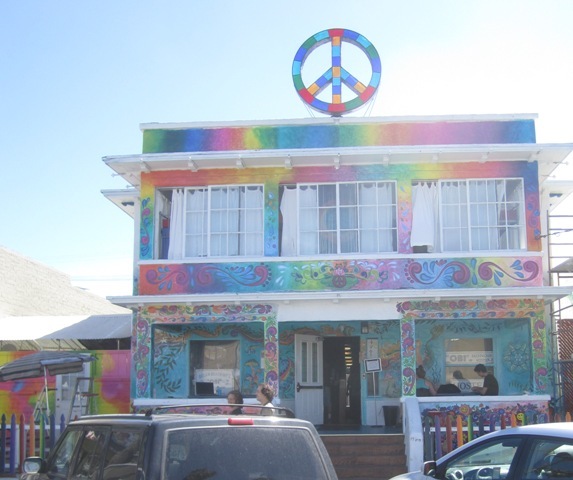 Willie has been on Newport Ave since the Sixties – think of that. 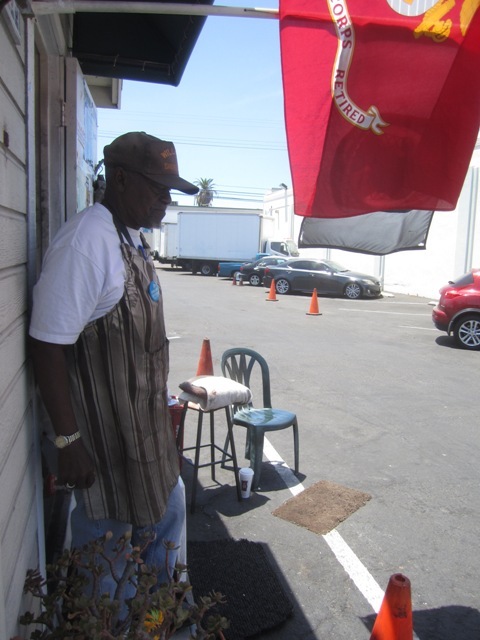 He used to work for a shoe repair shop before opening up his own at the corner of Newport and Cable. Willie has out lasted – literally – everyone else on the street. He was around when the original OB Rag was published. He would walk down to the corner where I was hawking them, drop me a quarter and meander back to the shop, already reading it. 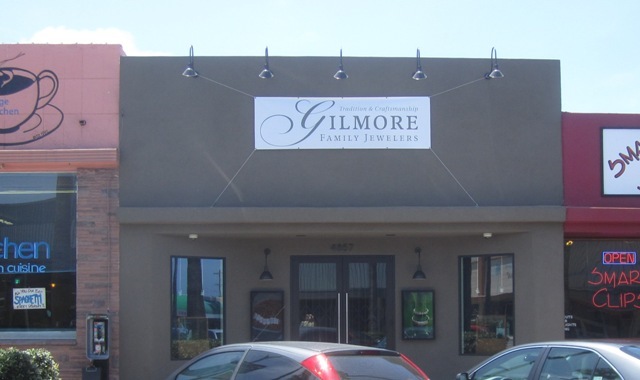 Gary Gilmore – the Newport Ave jeweler – has finally carried through with his promise of making it more of a family affair. So, a temporary banner of a sign is up, announcing the changes. 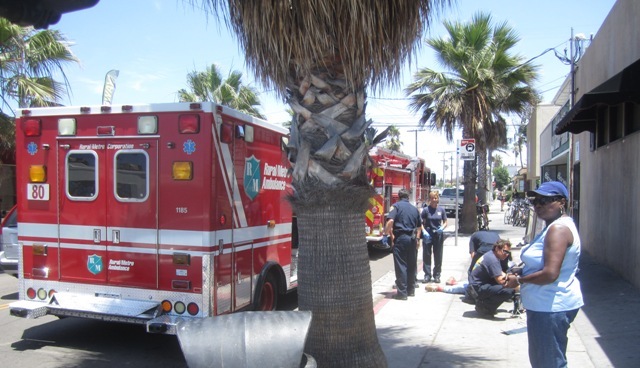 While I was cruising up and down the ave, a guy on a bus bench had a major meltdown and a fire truck and ambulance showed up to take care of him. 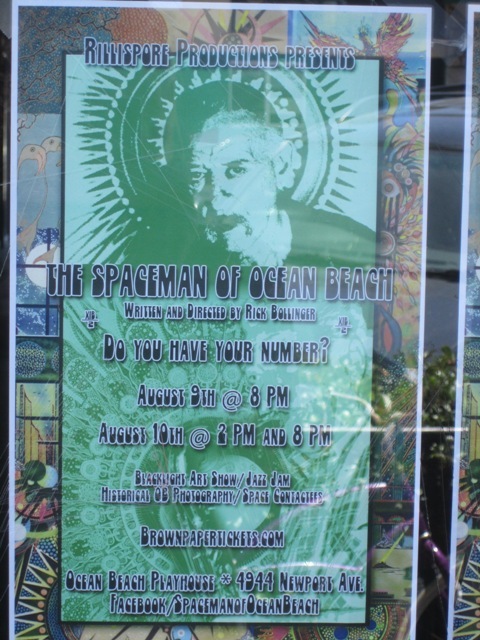 Something is going on later in August at the OB Playhouse on Newport – a play and exhibit about OB’s infamous local artist, the OB Spaceman – Clint Cary – written and produced by Rick Bollinger. August 9 and 10. You must see this. 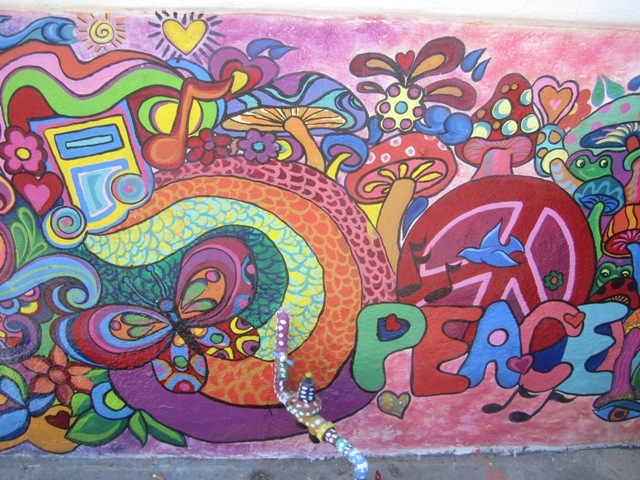 The Rag has three of Spacy’s paintings – one a black light “Space Tree”. I have my number – XIB/200 – do you have yours? 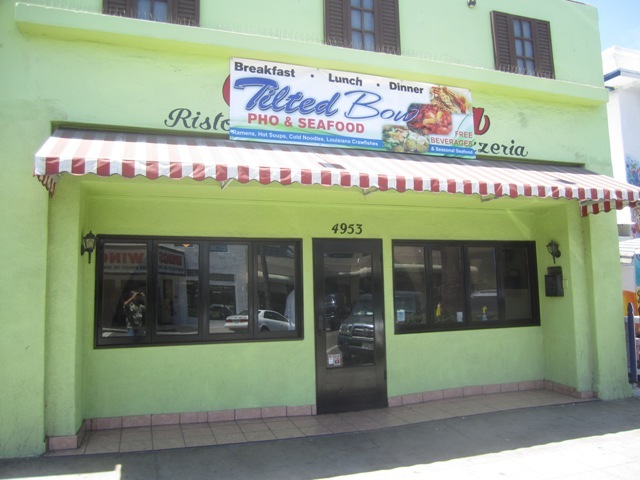 If the OB Sushi people are taking over the Ciao Bella space, all the luck in the world to them – was never big on the Italian place, but OB Sushi rocks! Wow, I’ve never eaten at OB Sushi, but it is plush, leather seats et al. Caio Bella used to sit empty a lot, yet it would get a dinner train. So, what happened? Nice Work!! Thanks for the article. I’m on the street just about every day of the year and I learned something from your observations. All the businesses you mentioned are here because of their affection for this neighborhood. OB reads like a small town, not a neighborhood in a city of over a million people. I really like that. I thank my lucky stars for landing me in this place.